I try to support independent bottleshops whenever I can, but occasionally I stray into one owned by the big chains. Usually to buy Cooper’s beer on the way home. So when I’m in I take note of the wines on the shelves, prices and see what’s happening. Quite wan, weak blackcurrant cordial-esque in colour. Soft red fruited nose as expected from the Grenache with some unexpected gun smoke & deep, purple fruit perfume from the Carignan. A little stalky green-ness poking it’s head up too. 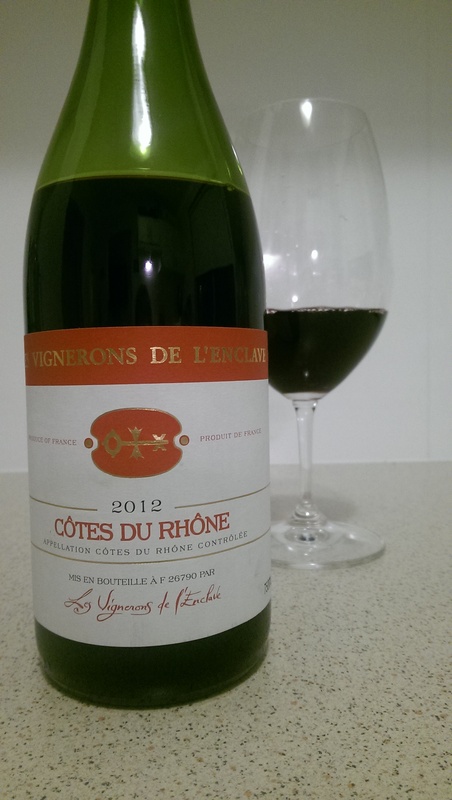 Medium bodied with rounded red fruit front palate. Good, lighter bodied Grenache fruit that evokes ‘old world’ flavours (as opposed to some sweeter fruited ‘new world’), Syrah (shiraz) gives a bit of plump oomph & the Carignan providing the skeleton. Medium acidity that sits quite shrill & some surprisingly fine tannin, thanks Carignan. Verdict? Perfectly reasonable French divergence from sub $20 “quaffers” and maybe something to try as stepping stone before the good stuff. 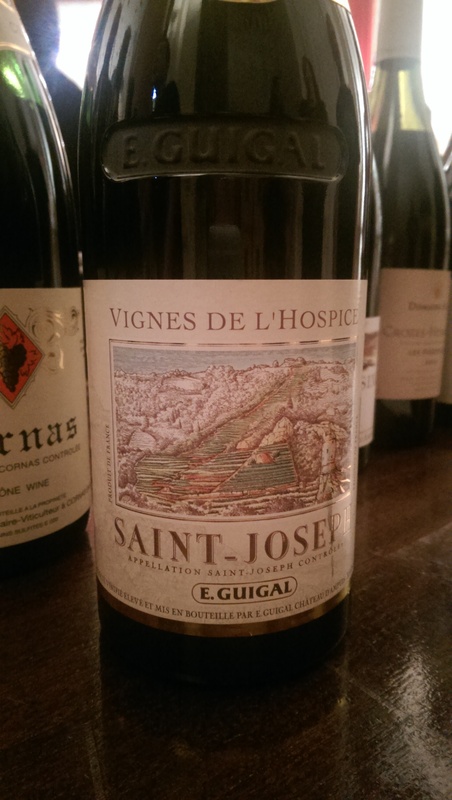 *Note: I wasn’t actually expecting the wine to be a rival for the Guigal Saint-Joseph Vignes de l’Hospice….